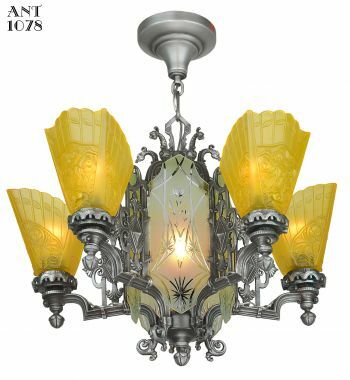 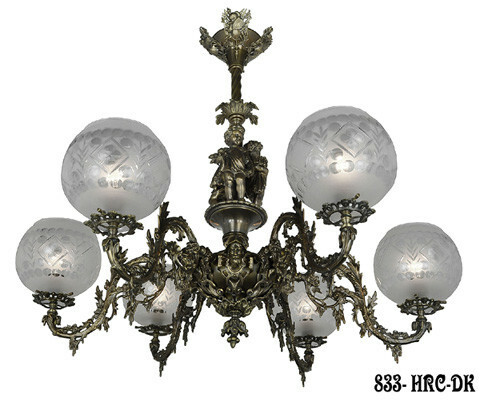 Originally gaslight, this type of allegorical chandelier was very much in vogue during the 1850's. 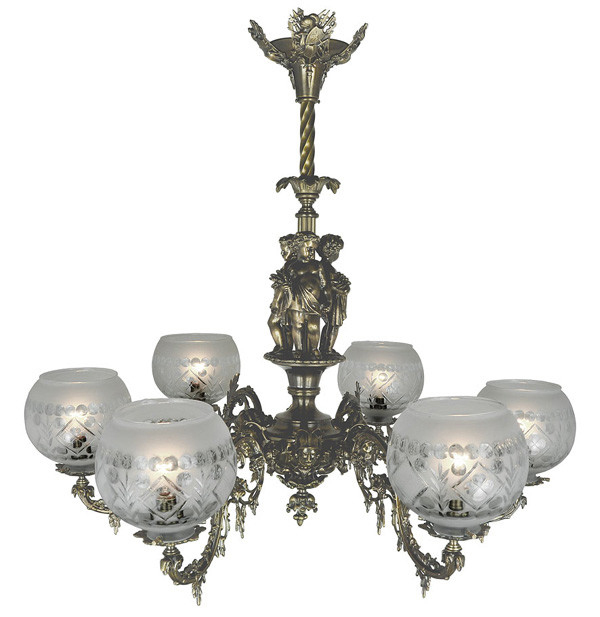 This fine 6-light example is attributed to Cornelius and Baker, circa 1850. 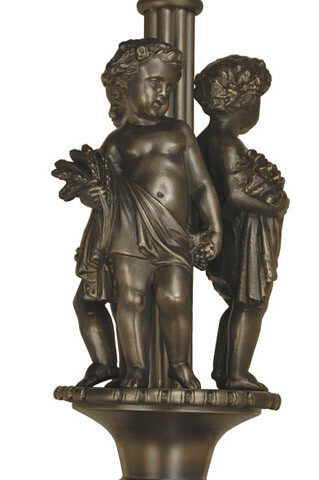 The three boy figures around the stem are identical, and are believed to be the god of harvest since he is holding a sheaf of fresh cut grain. 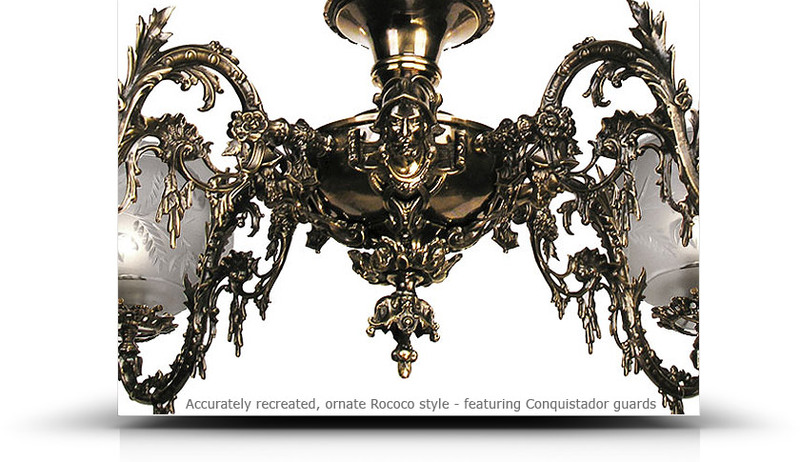 The arm bowl is complete with a conquistador's face between each arm. 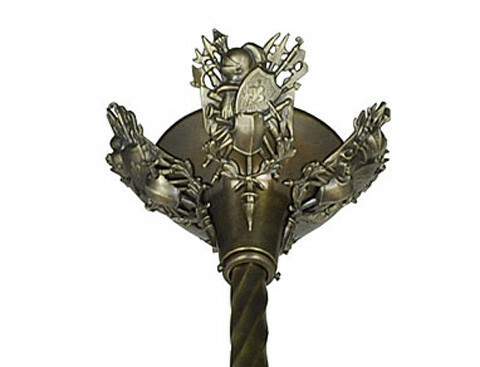 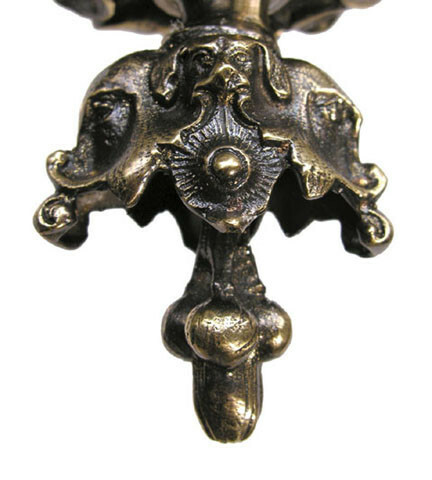 The finial has a hunting dog's face, while the canopy is a collection of medieval arms radiating from a coat of arms. Wouldn't it be fascinating to understand all the stories behind the allegorical references? 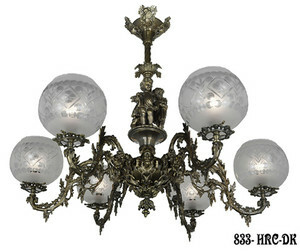 Perhaps the chandelier commemorates a classic novel or poem of the day. 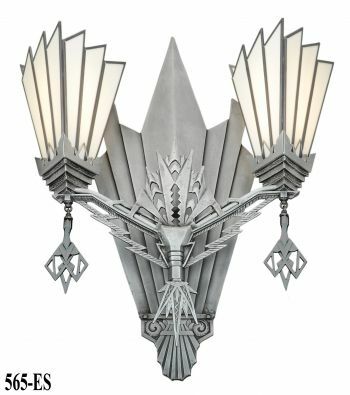 Overall, this is a superb chandelier. 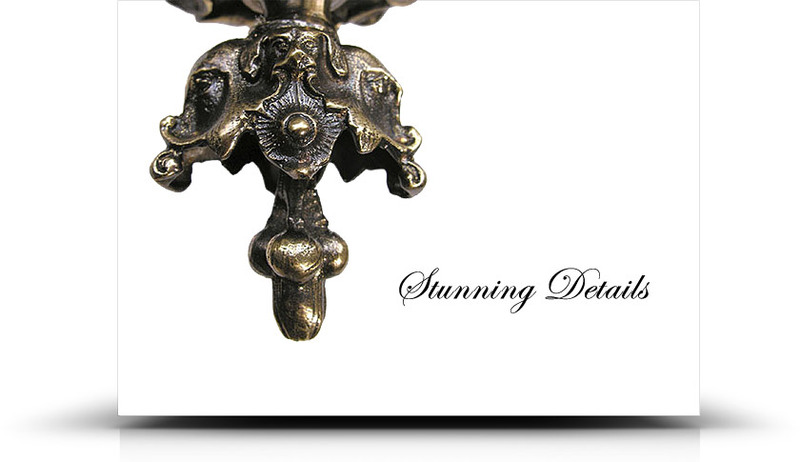 Our closeup photos show the chandelier's fine details, in our antique finish. 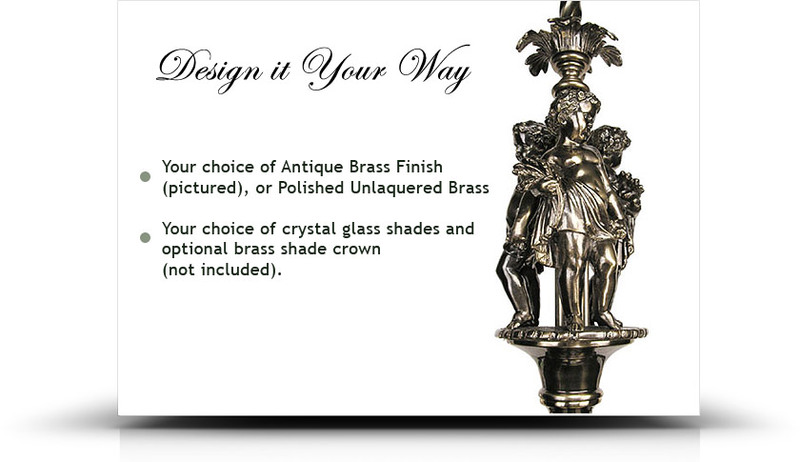 Choose your finish from the drop down menu. 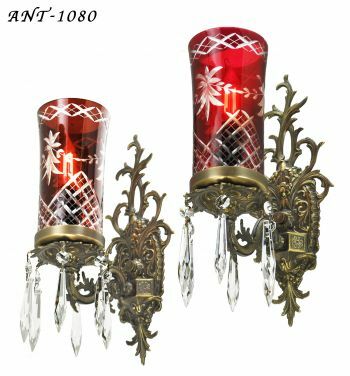 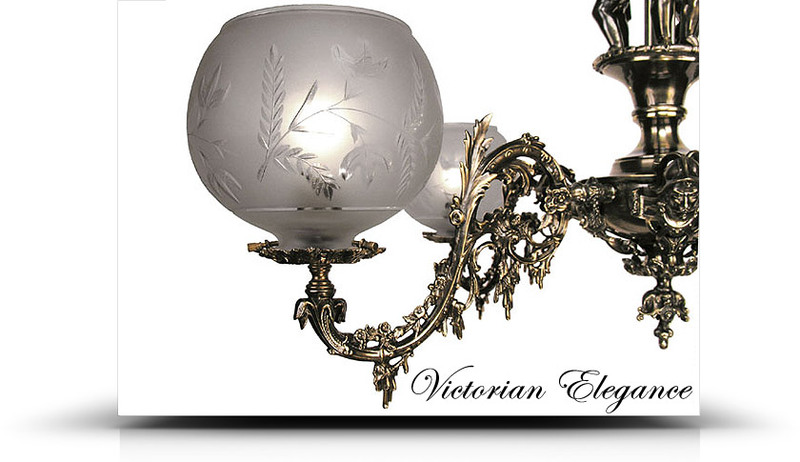 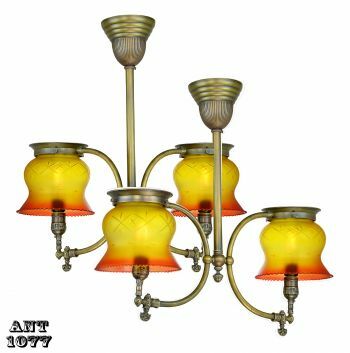 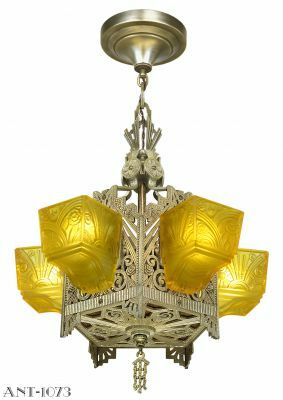 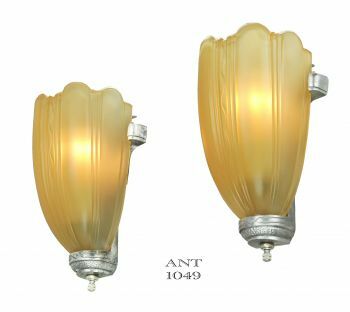 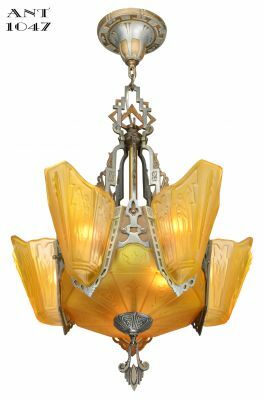 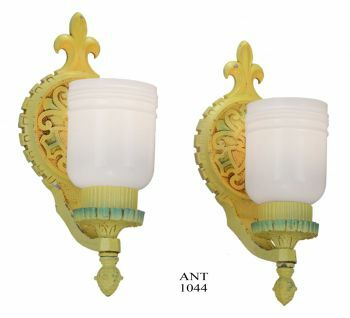 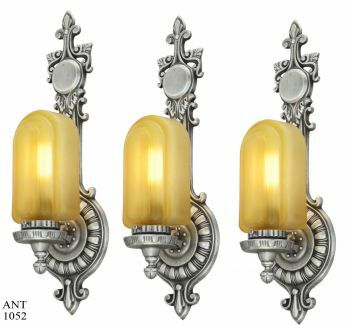 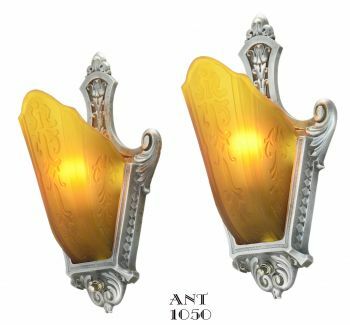 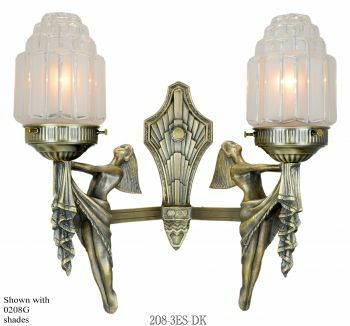 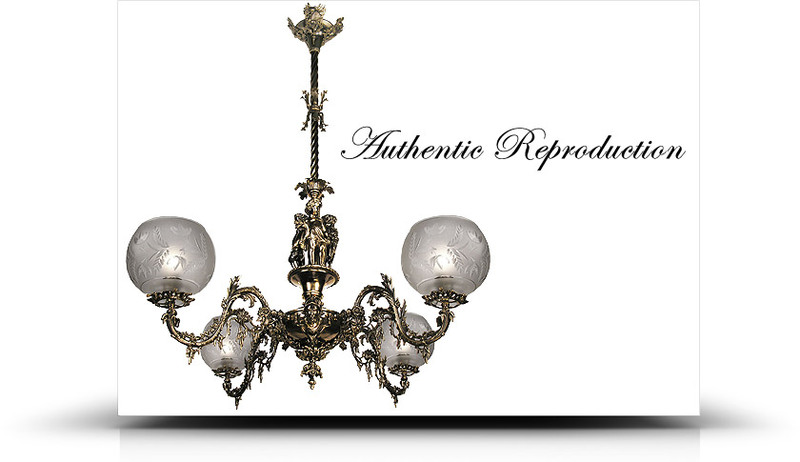 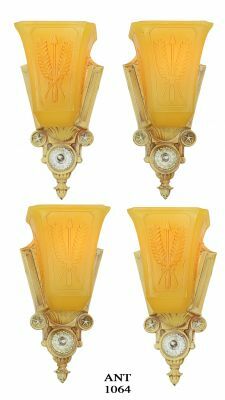 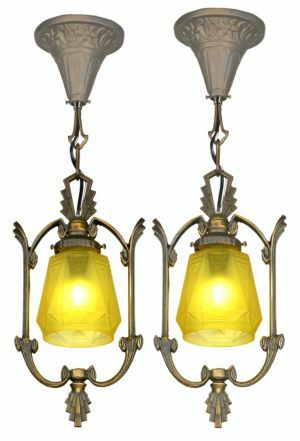 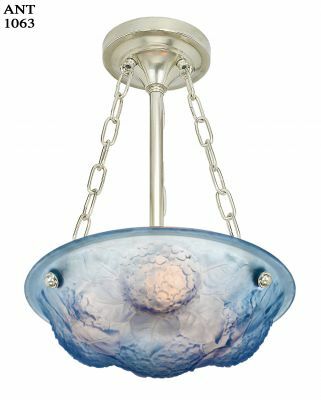 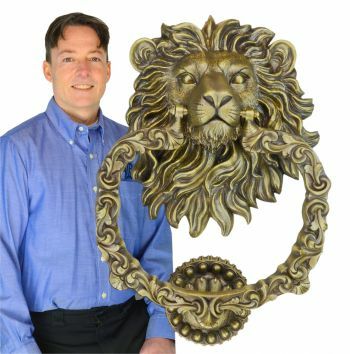 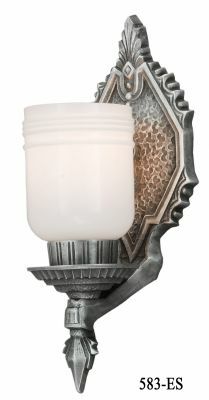 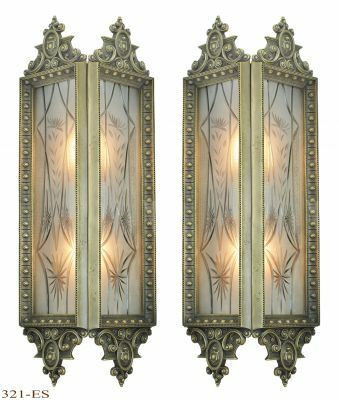 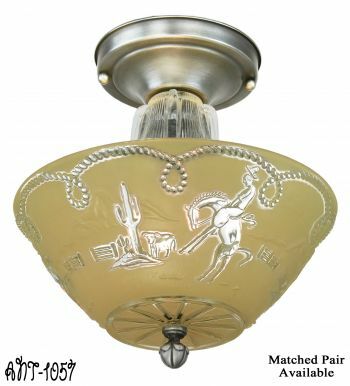 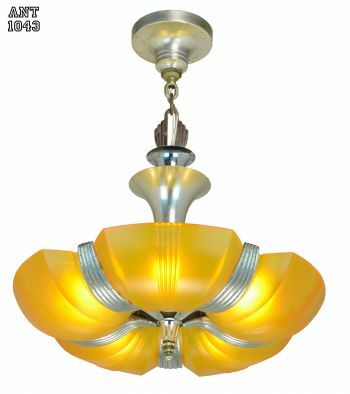 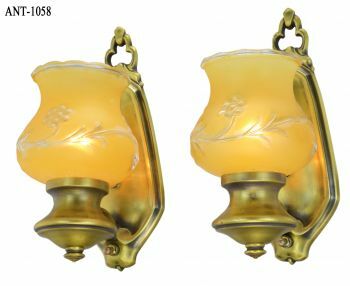 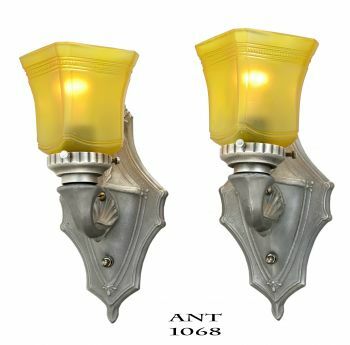 Shades are sold separately from this fixture, since many of our clients have their own antique shades. 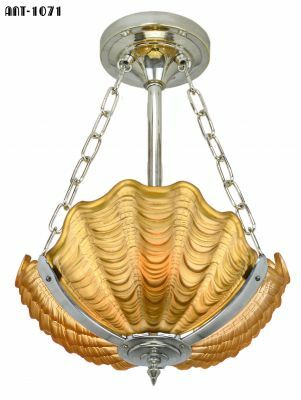 Shade Fitter measures 2 5/8" in diameter. 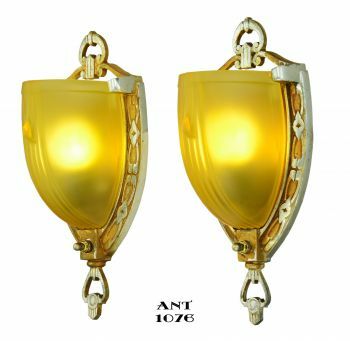 We have a variety of gasolier shades to choose from. 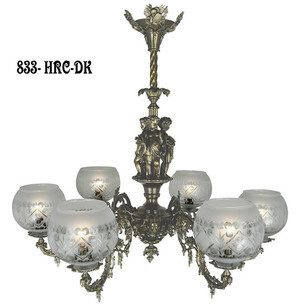 The shade shown with this fixture is our reproduction Mitchell Vance diamond design crystal shade. 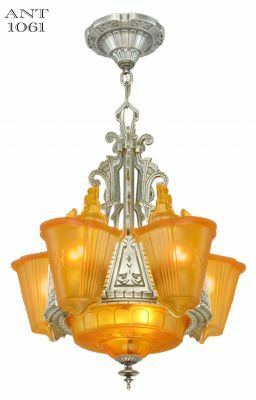 This beautiful Cornelius & Baker chandelier is also available in the four-arm version here. 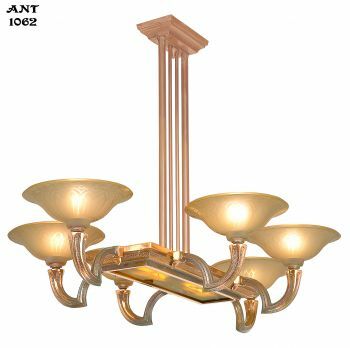 Measures 58" overall, but can be shortened up to 31" upon request. 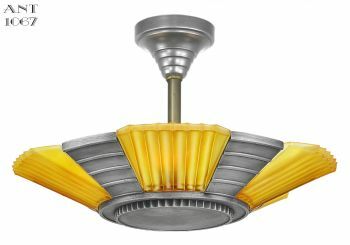 Spread, including the shades, is 36". 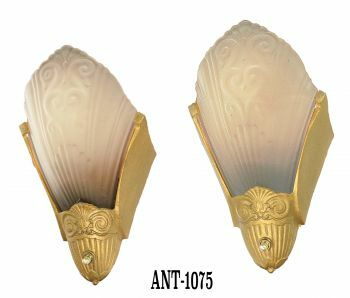 Decorative canopy is 7 1/2" in diameter. 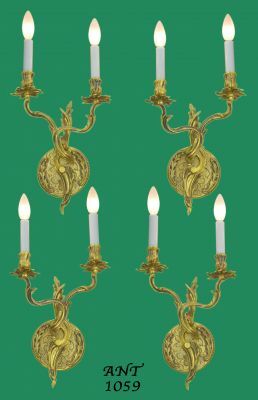 Six sockets rated up to 100 watts each.